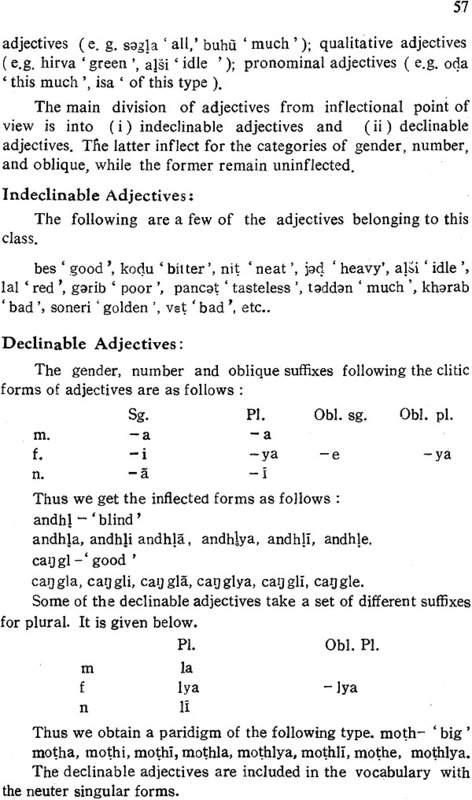 The present study is intended to be an introductory synchronic description of the dialect spoken by Bhils residing in the district of Dangs of Gujrat State. 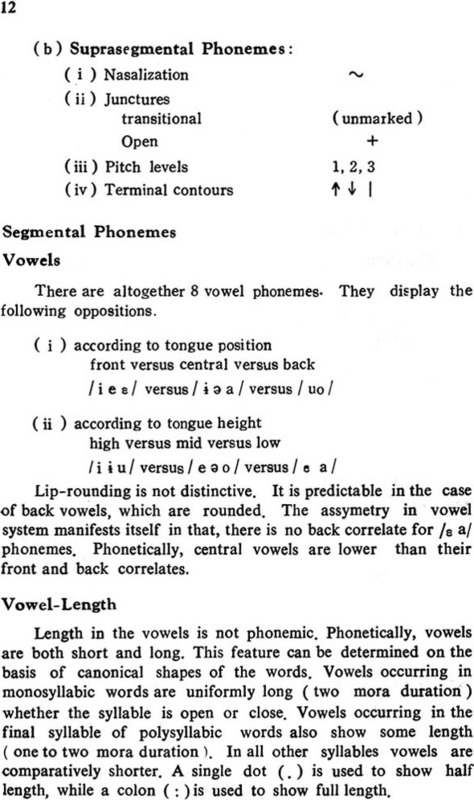 The model used for the description is one that was developed by Bloomfield and his successors and which is still useful for linguistic analysis. While Chomsky and his followers are investigating into the nature of natural languages, there is an urgent need that at least some of the linguists should devote themselves to the description of hundreds of fast disappearing tribal language and dialects in this country and preserve the linguistic material with the use of whichever model available to them. With this intention the author of the present work visited the tribal colonies of Dangs in the months of Deeember 1964 and May 1971 and collected a limited corpus of speech material of the above mentioned dialect, principally from the local informant. 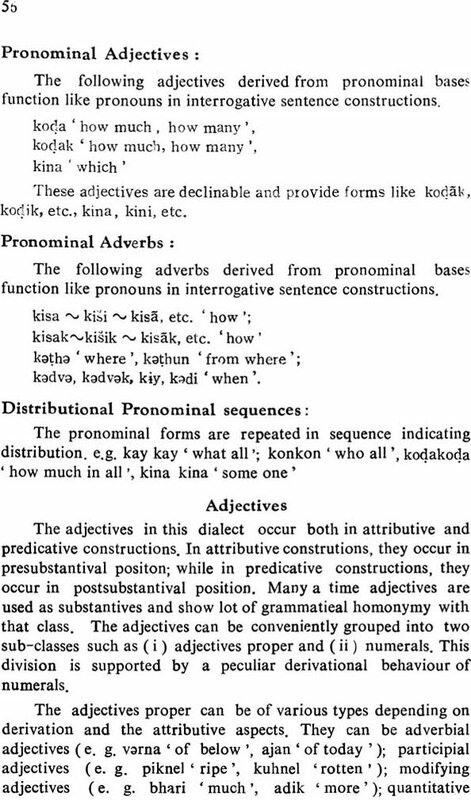 The material consists of about 3500 lexical items, 600 unconnected sentences, 45 prose texts and several nominal and verbal paradigms. 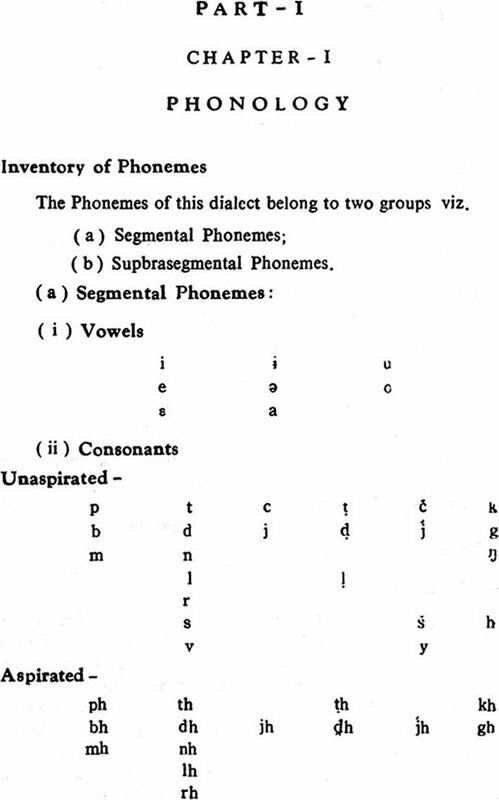 All the prose texts and about a thousand of lexical items were recorded on a portable tape- recorder. In all, a continuous recording of ten hours duration was made at intervals. Even though the study is based on the idiolect of one informant, it represets the speech of other Bhil speakers of the area also, as the speech variation among the speakers is quite small and the structure of the dialect remains essentially the same throughout. However, an effort is made to stick to the speech of the principal informant for analysis and use the speech of others for reference. 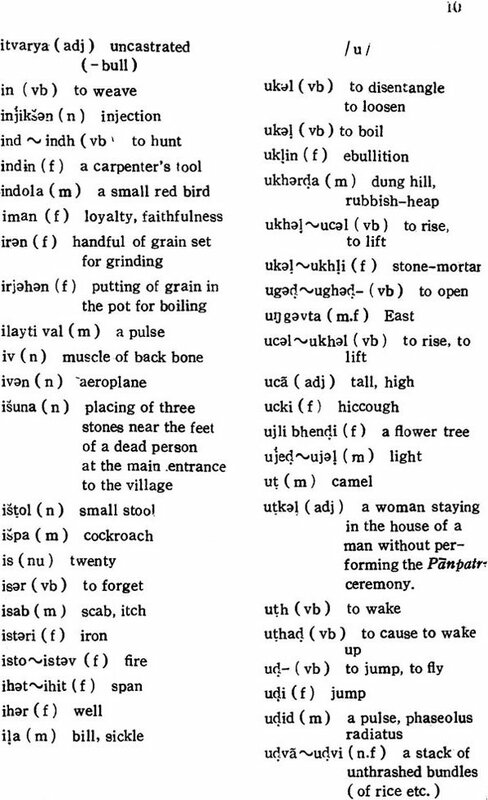 The dialect analysed here is spoken by an aboriginal tribe Rajewadi Bhil, who constitute one of the major major tribes inhabiting the mountain fastness in the district of Dangs in the Gujrat State. According to the Census of India of 1961, it claims a population of 23,701, which is distributed all over the district of Dangs. The total population of Dangs is 71,567, out of which 92.55% belong to the scheduled tribes. The district of Dangs is entirely a hilly and forest region measuring 689 sq. miles and having the best jungles in the State. The term Dangs itself means forests. Its hill ranges on the northern fringes of the Sahyadri and its rivers and brooks, :its green vegetation and variegated flora and fauna make the district a region of rare beauty and full of natural wealth. The Koknas and Kunbis are the same tribe with variant local names, and constitute the dominant tribe of Dangs. Bhils and Varlis stand next to them in the strength of the population. 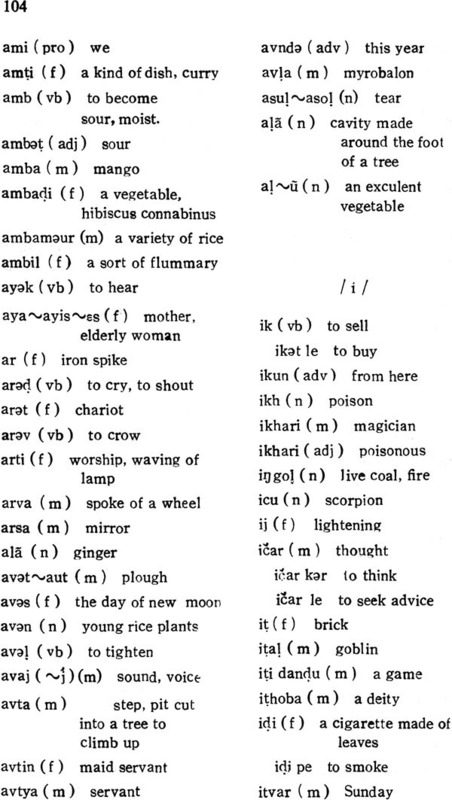 The Gamits, Dhodias Chodhris, Dublas, Naikda, etc. came from the adjoining districts of Gujrat. The informant used for the present analysis comes from the village Nilsakya from the central region of Dangs, a place five miles away from Ahwa, the district headquarters. The village lies on the northern Sahyadri ranges. Its natural beauty is derived from high and dense wood land, green foliage, rivers and rivulets criss- crossing the land. The valleys and ravines carved out by the rapid flow of the rivers Gira, Khapri, Ambika and Purna are overlaid with a green carpet as soon as monsoon advances. During spring, when the Khakhra trees bear flowers, which are scarlet red, the forest looks ablaze. The Dangs district is favourably situated for the growth of forests, as it lies within the belt of heavy rainfall. The forest is an emporium of innumerable varieties of vegetation, timber, woods, and other medicinal herbs. Shri. Indu Dagadya, the informant is a tribal priest by profession and knows many medicines from the forest. He guards his knowledge as a close secret, with the usual conviction that publicity nullifies the therapeutic property of medicines. Teakwood accounts for a major share of timber found in the Dangs, used in construction, furniture and ship-building. The teak tree in this region grows straight without any knots and reaches a height of 125 feetThe other important products are bamboo which grows 100-120 feet high, sajad’ trees used to make sleepers; ‘haldarva’ trees used to make bobbins required in spinning mills; ‘sisam’ used for furniture, while a number of forest products are used in Ayurvedic medicines. 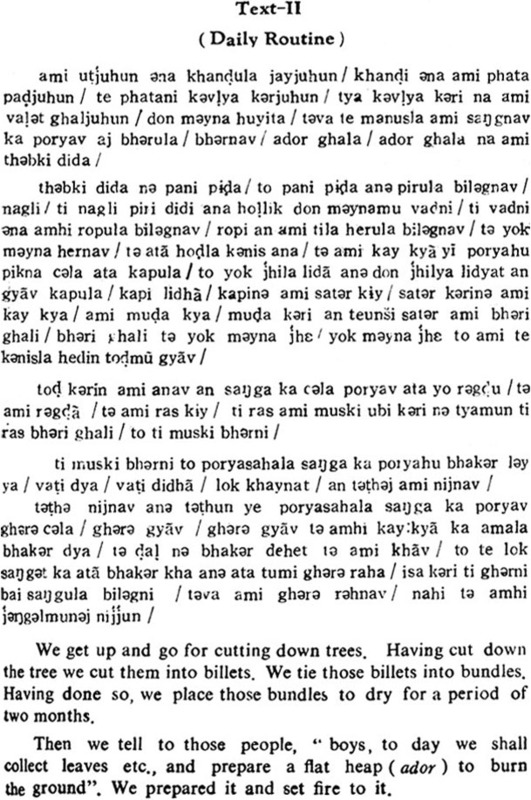 The Bhil is necessarily a man of the forest. He is very well acquainted with the plant life. His occupation necessitates this knowledge. He has rarely land of his own, and no fixed profession to give him a him a regular income. He is a hunter. 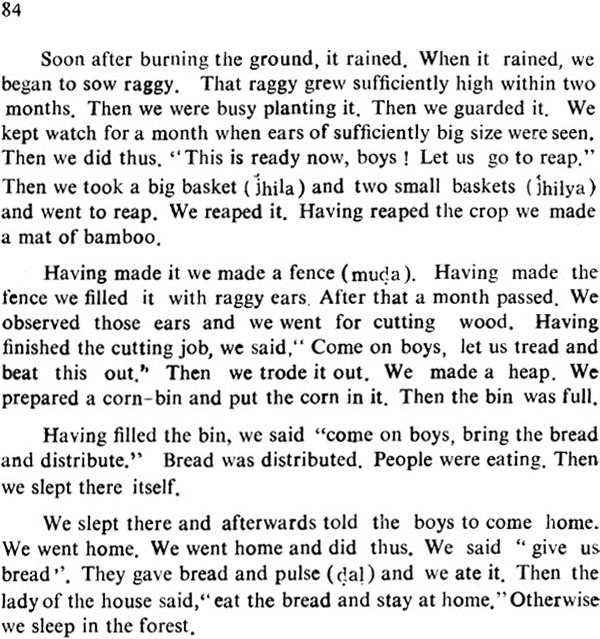 Coal-maker, timber-feller, gatherer and seller of forest products, freshwater fisherman, field-labourer and agriculturist raising the crop of raggy. Wild life is still extant in this forest though gradually declining. Tigers, wolves, bears, boars, hyaenas, monkeys and wild cats are inhabitants of this forest. Wild goats and wild buffaloes are frequent. Among reptiles, huge pythons, cobras, kambalya and many other varieties are noticed. The bird life in this region is colourful and rich. Among different species mention may be made of wild pheasants, wild fowls. Partridges, owls, pigeons, etc. The climate of Dangs is salubrious and pleasant during the months of January and March. In May, the temperature rises upto 42C. Heavy rains pour in from July to November which vary from 90 to 100 inches. However, the peculiar physical configuration of the area entails great scarcity of water during summer.